At last with justice served in the murder case of Jennifer Hudson’s family, the couple are “very excited” about the imminent wedding with their 2-year-old son David Jr. playing a significant role. 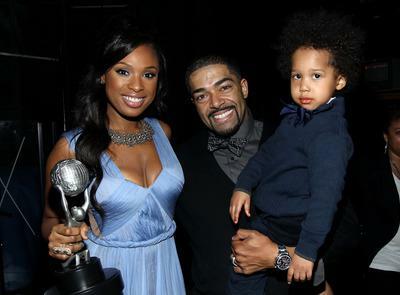 Actress and singer, Jennifer Hudson, 30 and WWE wrestler, David Otunga, 32 had engaged in September 2008. Otunga had proposed Hudson with a 5-ct round cut diamond engagement ring. Accepting the proposal, Jennifer gifted a diamond engagement ring to David in return. Otunga further added their son, David Jr. who’ll turn three this august “will definitely be a huge part” of the wedding. David Jr. is a huge fan of his dad. “He never goes anywhere without my action figure”, added the proud father. The WWE wrestler said about his beau, “I’m blessed to have such a wonderful woman in my life who cares for our child so lovingly. It’s made me love her just that much more”. To this Jennifer replies, “I care for my child like my mommy cared for me”. In honour of their deceased family members, the couple started the Julian D. King Fountain to donate Christmas toys and school supplies for underprivileged children. The couple have closely guarded the date or other details of the wedding. Also the role of their son for the big day is a secret too. The only assured fact is the would-be groom has no plans to upstage his bride. The bride would be strolling down the aisle donning a three-piece bridal dress designed by her. Otunga added, “My attire won’t be quite the show that hers is”. William Balfour, the ex-husband of Jennifer’s sister Julia Hudson, was found guilty of the triple murders of her mother, brother and nephew last month. Hearty Congratulations to Jennifer & David!! !